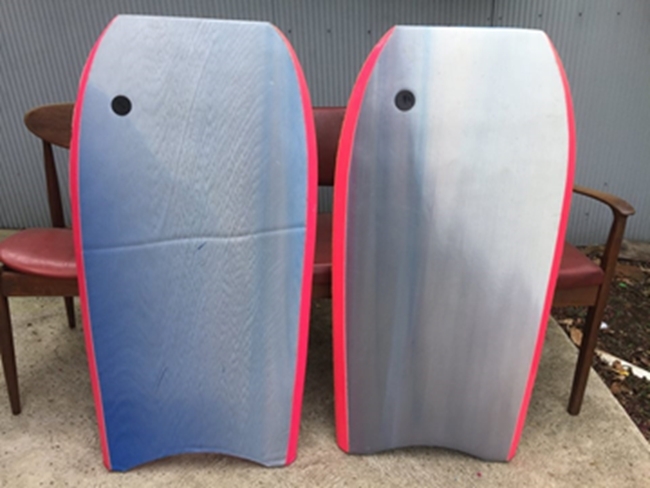 Two bodyboards from back in the day. 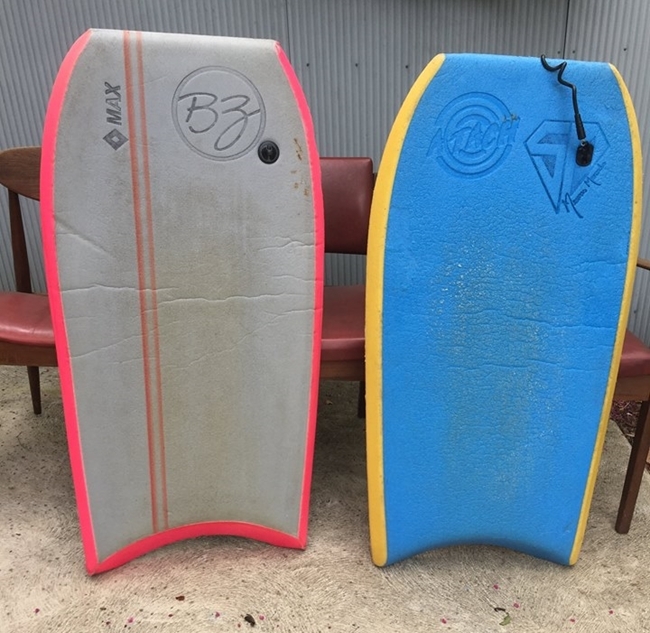 A BZ diamond max from around ’88, and an A-Tach Seamus Mercado from the early 90’s. 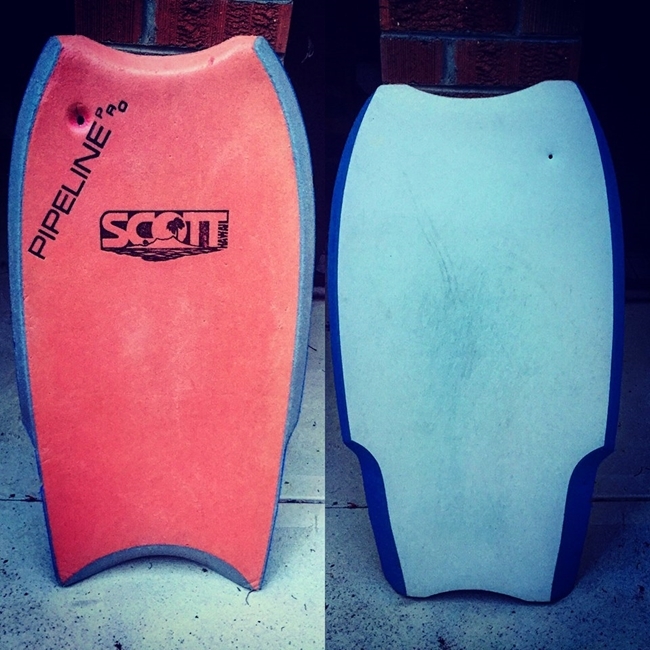 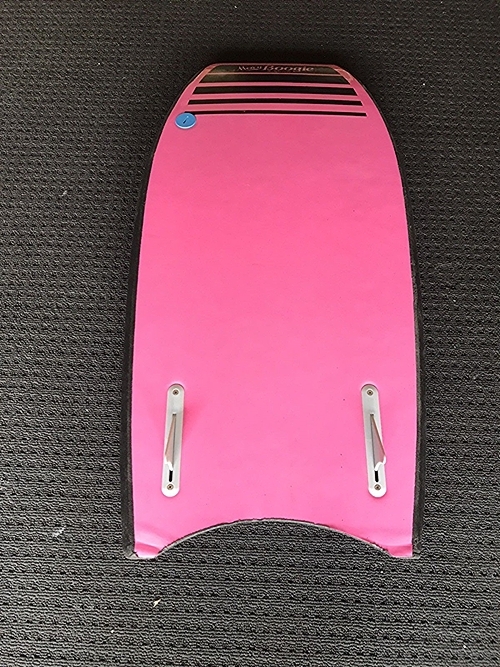 Left we have the Manta Mozzie 1100 SD Pro, on the right is a Manta Assasin both boards are from the late 80s.